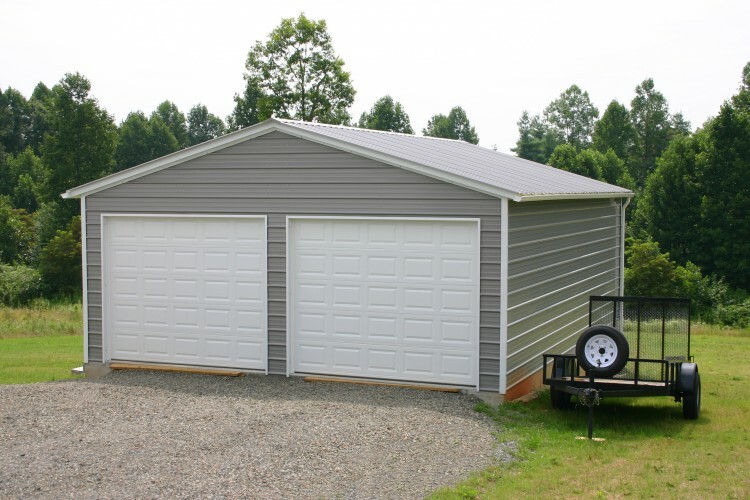 At Metal Garages Direct we pride ourselves on bringing you the highest quality metal garages in the industry. 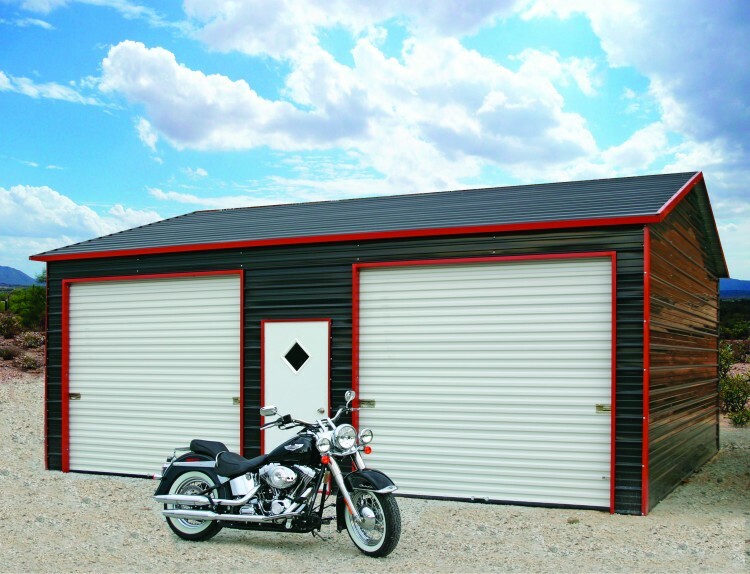 With years of experience in the industry we can provide you with exactly what you are looking for whether it is a garage for your car, a workshop for your tools or just a man cave for your leisure. 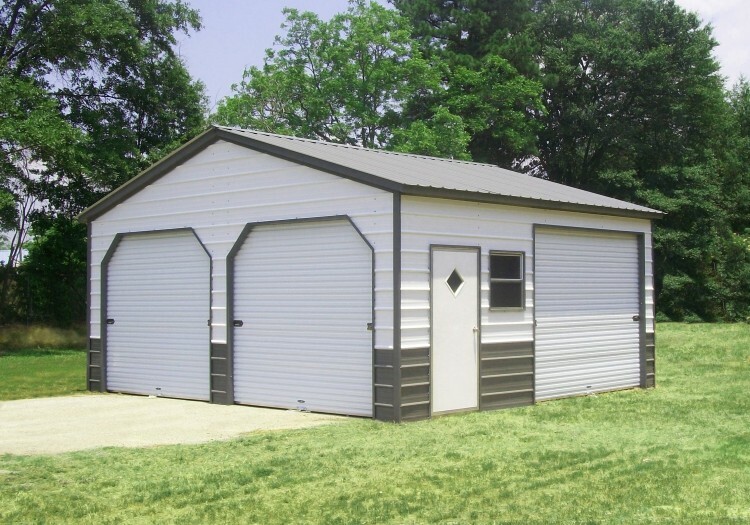 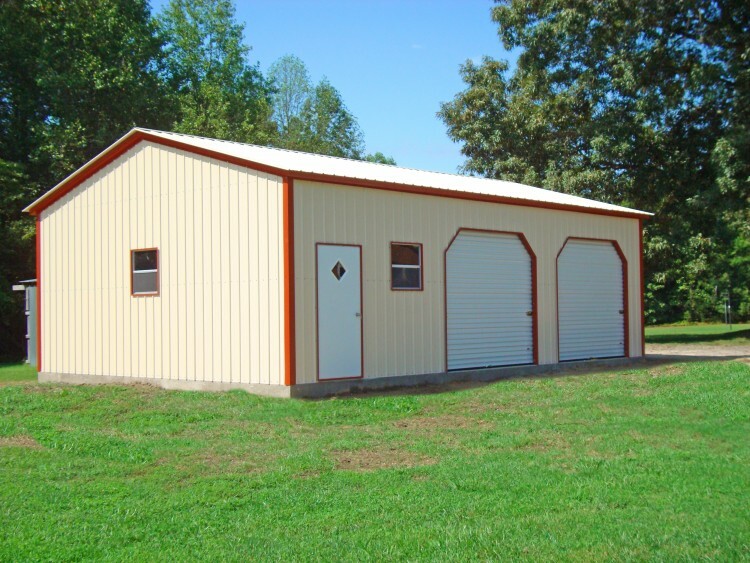 Our metal garages are available in both 14 and 12 gauge framing and 29 or 26 gauge paneling(26 gauge roofing available in select states). 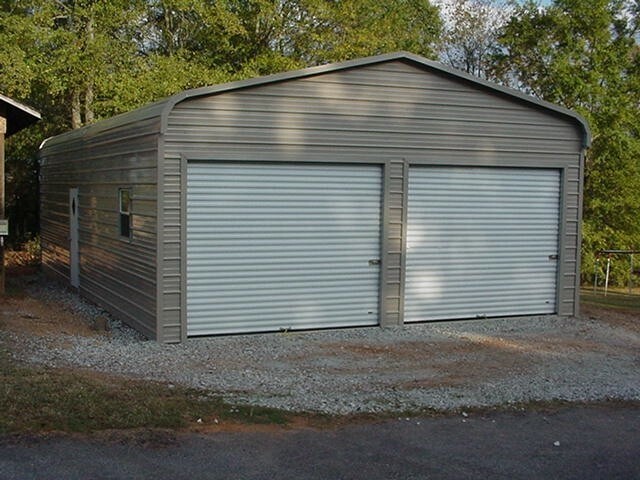 Our steel garages are also available in both certified(certifications vary in each state) and non certified. 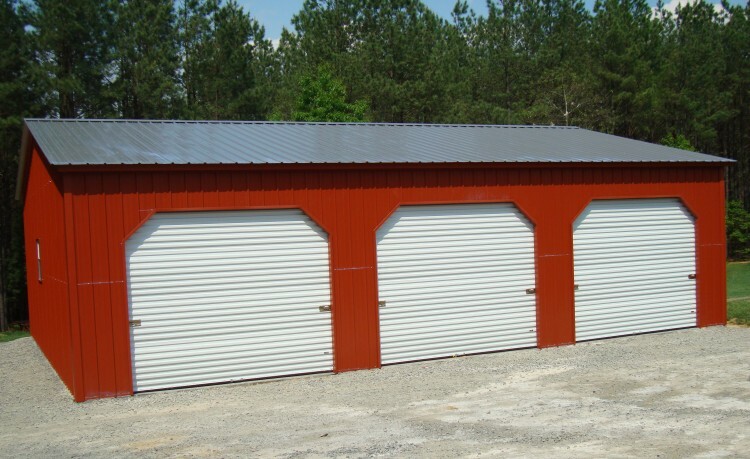 In addition to metal garages we also offer carports, car ports, metal barns and steel buildings! 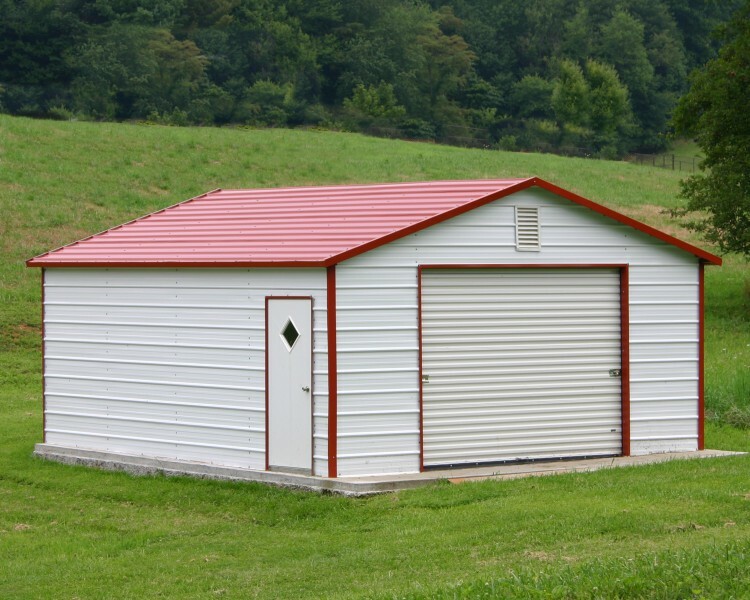 Our metal garages are available in many different sizes ranging from 12 wide to 60 wide and as long as you want. 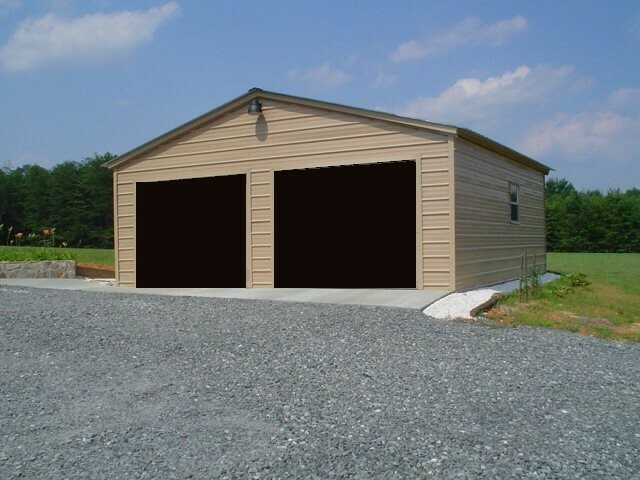 Our garages are also available in 13 different colors. 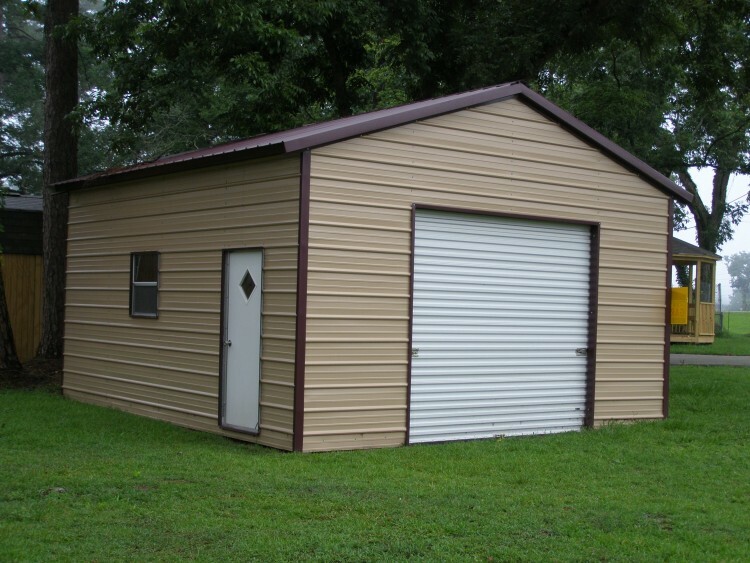 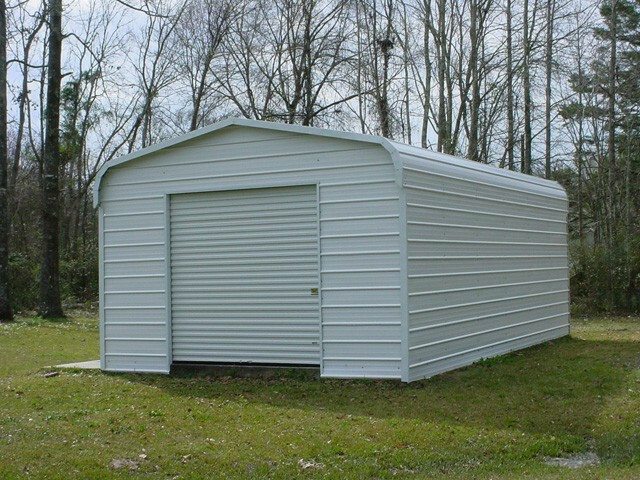 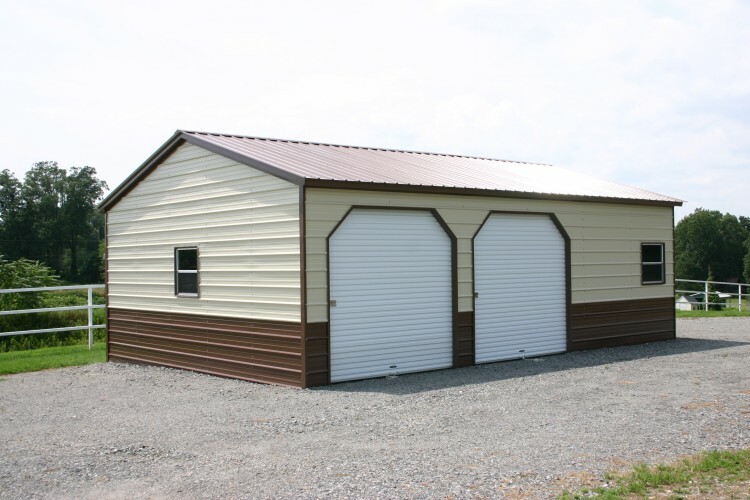 The metal garages also come in 3 different styles vertical, boxed eave and regular. The delivery and setup of our metal garages is free! 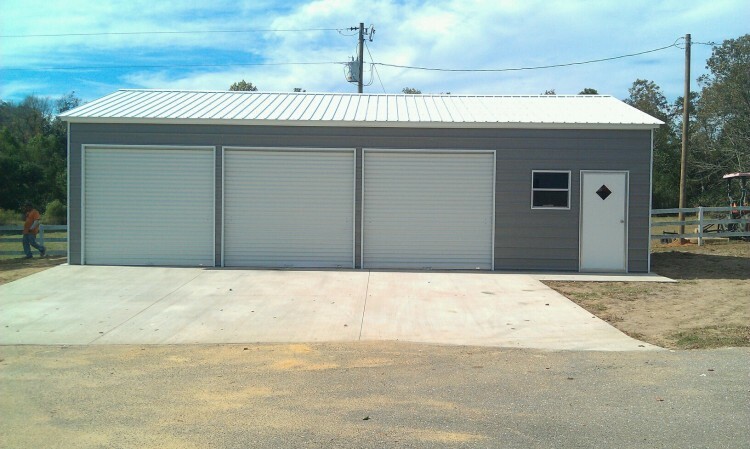 Our garages come with many different options such as garage doors(automatic available), Walk in Doors and Windows. 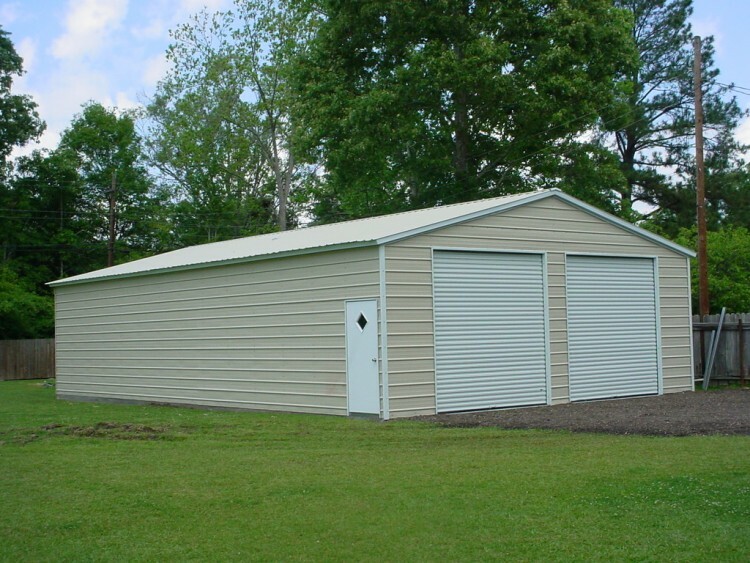 We deliver and install in 48 States including: Alabama, Arizona, Arkansas, California, Colorado, Connecticut, Delaware, Florida, Georgia, Idaho, Illinois, Indiana, Iowa, Kansas, Kentucky, Louisiana, Maine, Maryland, Massachusetts, Michigan, Minnesota, Mississippi, Missouri, Montana, Nebraska, Nevada, New Hampshire, New Jersey, New Mexico, New York, North Carolina, North Dakota, Ohio, Oklahoma, Oregon, Pennsylvania, Rhode Island, South Carolina, South Dakota, Tennessee, Texas, Utah, Vermont, Virginia, Washington, West Virginia, Wisconsin and Wyoming. 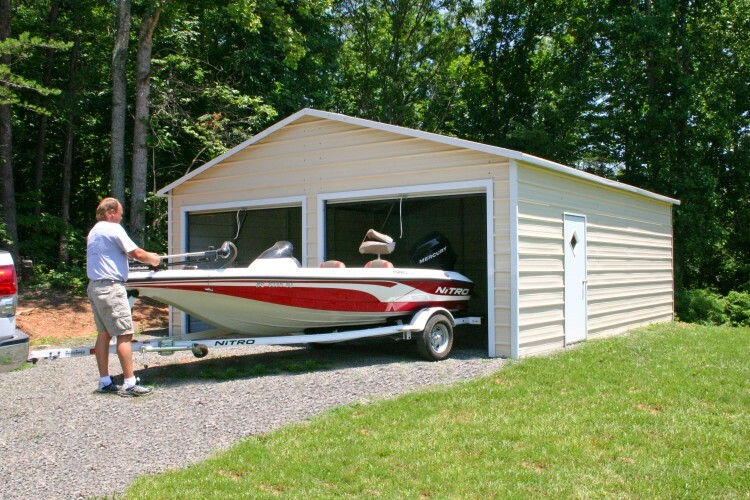 Our metal garages take very little time to install with most going up in a matter of hours. 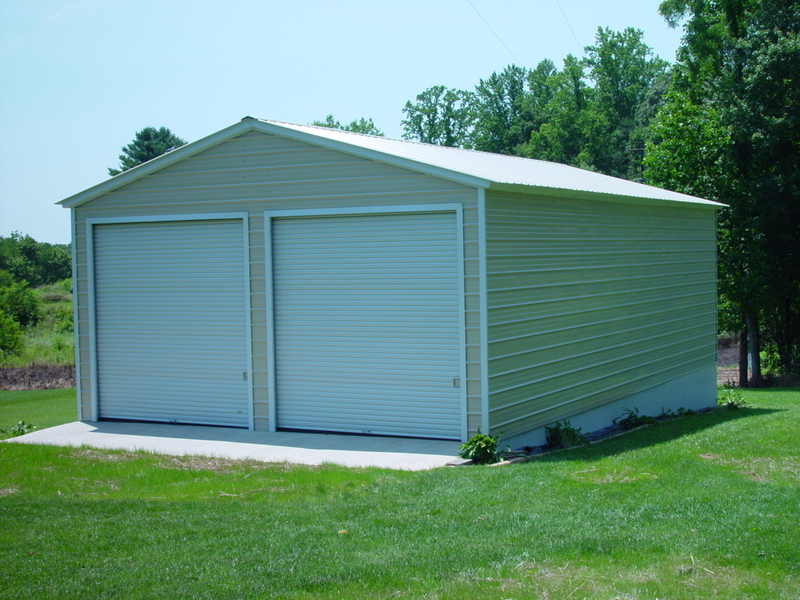 Our average deliver time is usually 2-6 weeks but it can take up to 8 weeks. 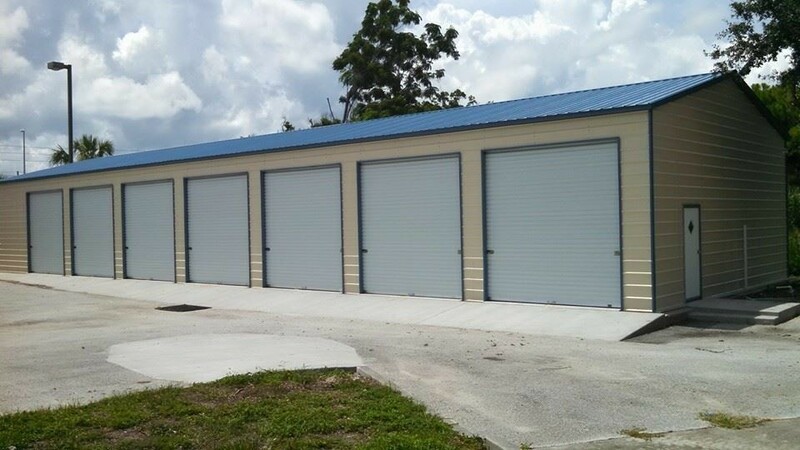 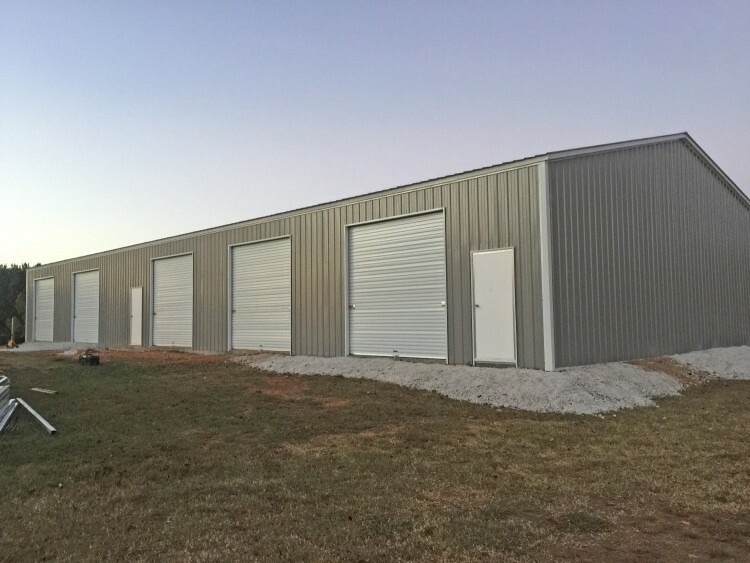 ​So if you are looking for a great Metal or Steel Garage at a great price with quality service then give us a call toll free at 1-877-662-9060 or email us: sales@mayberrymetalstructures.com.